Meet Pooh the cat! Sadly he lost his back legs in a car accident but thanks to ground-breaking surgery he gets to walk on all fours again. 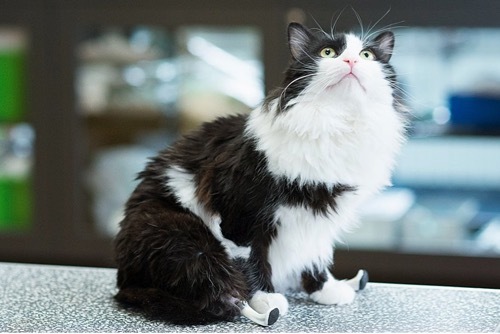 Pooh is a stray cat that lives in Bulgaria (his name means ‘fluff’ in Bulgarian) and he’s been fitted with bionic legs, which are in fact two tiny polymer-and-rubber paws mounted on titanium stems. The surgery was performed by Vladislav Zlatinov, he is the first European vet to have successfully used this pioneering technique, which was first done by Irish neuro-orthopaedic surgeon Noel Fitzpatrick on another cat. 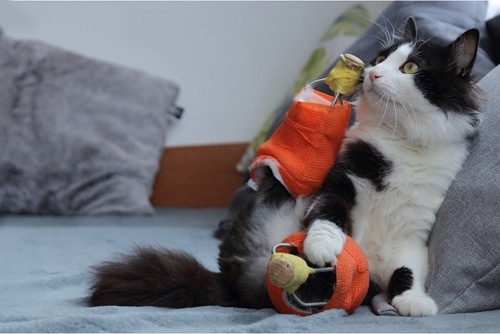 Pooh isn’t the first cat that Zlatinov has given this life-altering surgery to, he also performed the procedure on an eight-month-old cat named Steven, who lost both his hind legs last year. The operation was paid for with donations given to the animal rescue organization Let’s Adopt Bulgaria. The latest reports on Pooh show that he is healthy and has regained all of his lost weight following the surgery. He can now run and play just like any other cat. The only difference being a gentle tapping sound as his two tiny polymer-and-rubber paws touch the floor! 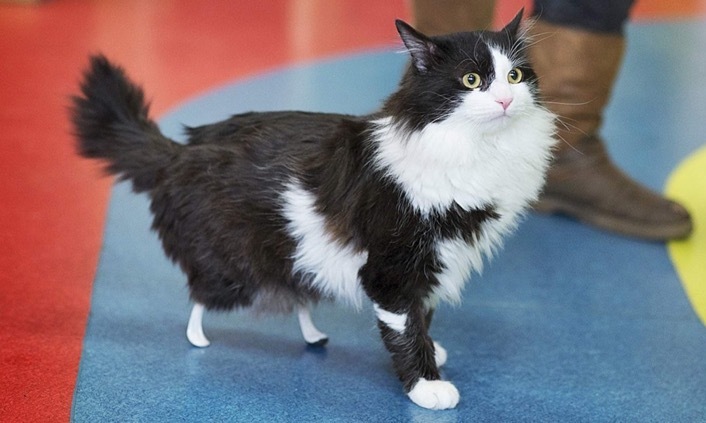 Click here to see another cat that has been fitted with new back legs!